I don’t remember the first time I was fearful of answering the front door of our house. Maybe it was when my kids were old enough to run and open the door on their own. The door represents security. Lately, our neighborhood has had its share of burglaries and odd situations including young men and women scamming people with bogus magazine sales programs. So with all types of people knocking on the door, I started wondering if there was a better way to keep the family safe then peeking through my kids’ bedroom window to see who was at the door, or yelling “don’t open the door” a million times to my kids. 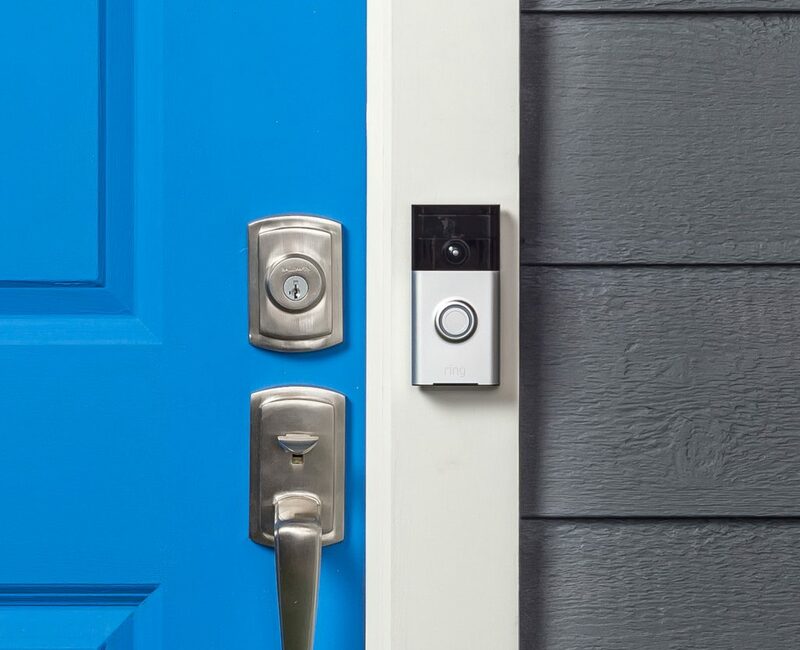 When an opportunity came my way to participate in a sponsored campaign for the Ring WiFi Enabled Video Doorbell, I was thrilled to learn more. This may be just the solution I have been waiting for to help me get over my fear of answering the door as well as monitor our porch when packages are delivered when we are away on vacation. A “second set” of eyes that I can manage with technology offers great value to our family. Ring’s company mission is to reduce crime in communities and empower consumers by creating a “ring” of security around homes and neighborhoods. The Ring Video Doorbell is a dual powered, Wi-Fi enabled HD video device (and app) that offer smart motion detection and cloud recording. 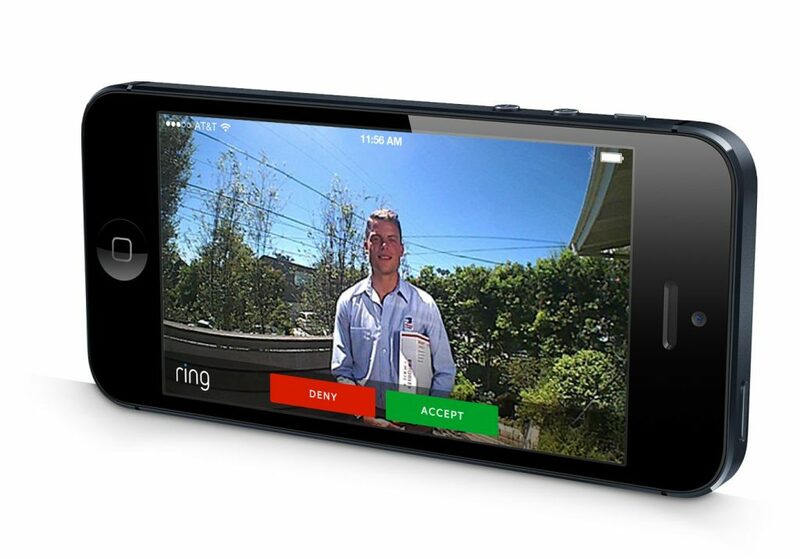 The solution offers the ability to stream live audio and video of your doorstep directly to smartphones or tablets via the Ring app! The accompanying Ring app is free on iOS, Android or Windows 10 Desktop. With the Ring app, homeowners can monitor, check notifications and see and speak with visitors from anywhere in the world! The Ring Video Doorbell has features including a 720p HD wide angle lens that captures every activity detected by the motion sensors. LED indicators show the devices’ current function and the two way speakers can be configured for different environments. The homeowner can also set up motion detection zones and receive notifications for activity in important areas. With the Ring Video Doorbell you also receive 30 days of free cloud storage for video and audio files, (then it is only $30 per year) and keeps the latest 6 months of files. It is powered by either the internal rechargeable battery (last for over a year) or through existing doorbell wiring. There are also four different faceplate finishes to match any home decor design that are also outdoor approved for heat, rain, sleet or snow. The built in motion sensors offers the ability to detect movement 180-degree field of view (range of 30 feet) as someone approaches the door, triggering instant mobile alerts and initiating HD video recording. Then you can view, save and share the Ring Video recordings, which is not only useful for the homeowner but also in some situations to share with law enforcement officials. The Ring videos have helped police with the identification and arrest of burglars across the country. There is a compilation of customer stories on the Ring website that show potential burglars deterred! Better yet, you can use other smart tech objects with the Ring Doorbell such as the Kevo Smart Lock. Another accessory is a Wi-Fi speaker called “Ring Chime”, which plugs in a standard power outlet and will let you know if you have a visitor even if your phone is in the other room. For a full ring of security you can also use water resistant and wirefree Ring “Stick Up Cam” outdoor security cameras that offer two way audio, motion detection, cloud HD video recording and night vision. I was also happy to learn that the Ring Doorbell attaches to its mounting plate using proprietary screws for security. If the doorbell gets stolen, they will replace it for free! How do I Install The Ring Video Doorbell? I have been tinkering with technology for years and always like products with clear instructions and simple installation. While I have not used the Ring Video Doorbell yet, the instructions look easy. DIY projects is one of our favorite family activities, so I appreciate that professional help is not needed for installation. 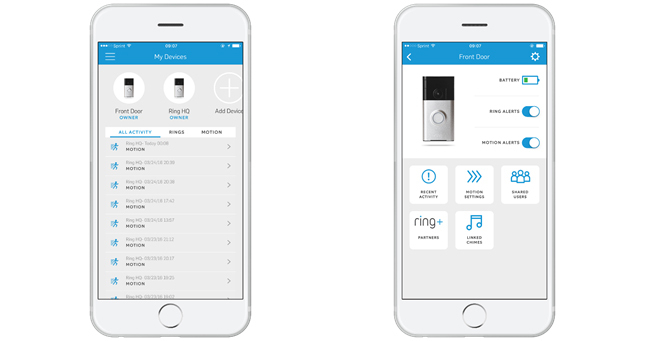 You connect the Ring Doorbell to your Wi-Network using the Ring app and then mount the unit using the tools in the package! 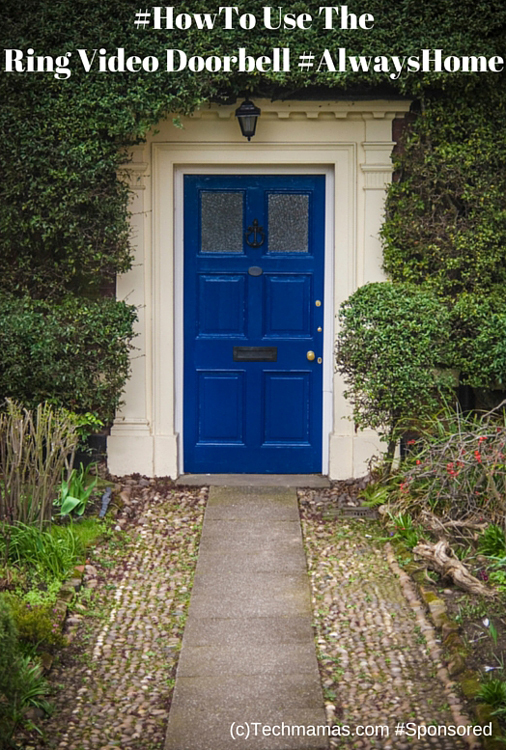 How do you feel about answering your door lately or packages sitting on your porch while you are away? Have you or your neighborhood had any security issues? 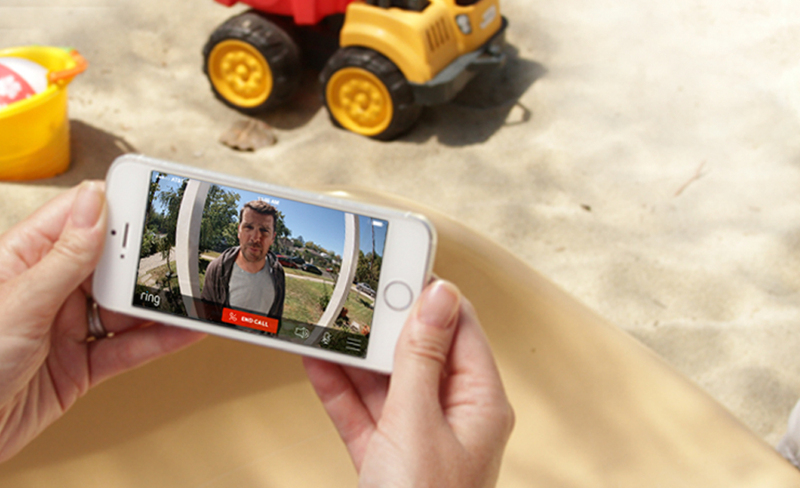 For more information about the Ring Video Doorbell Click HERE. Disclosure: This is a sponsored post. All of my words are my own. I have always wanted something like this for my front door. I’ve always hated answering the door, especially since we have clear glass panels on either side. So it’s a bit weird. I have a webcam I point at the door area but it’s just a make-do. I’ve seen the ads for this on TV but it’s nice to know someone who’s actually used it and recommends it.